Oreste Gallo is a managing director at Principal Global Investors. He is responsible for business development with insurers across Europe and with Official Institutions across Europe and Central Asia. Oreste joined the firm in 2013. Prior to his current role, Oreste served as a managing director at BlackRock, Morgan Stanley e Credit Suisse Financial Products. He started his career at the Istituto Bancario San Paolo di Torino SpA in 1987. 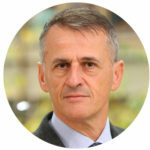 Since January 2013 he is a member of the Advisory Board of Fondaco SgR, and since February 2018 he became President of Fondo Pensione Cometa. He studied at the London Business School and got a bachelor’s degree in economics from the Universita’ di Torino.